Have you seen big balls of white blossom on your travels recently? Elderflower is having it’s shining moment, due to our mild / wet winter and warm spring, there’s a bumper harvest to be had this year. Starting around the 20th of May and lasting 4-6 weeks, now is the time to roll up your sleeves and pick yourself some Elderflower. 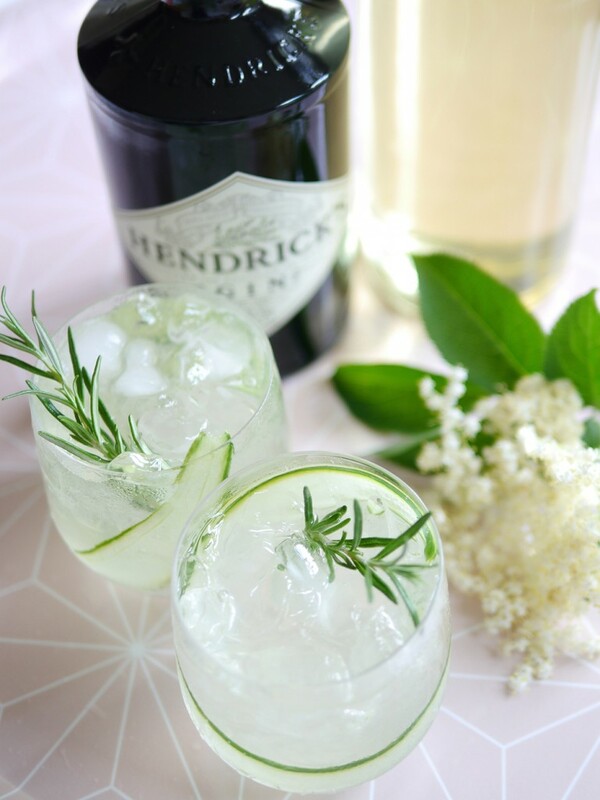 In a thick glass, jug glass or cocktail shaker, place the cucumber and a few leaves of rosemary. Using a muddler or the end of a rolling pin, smash the cucumber and rosemary a good few times to release the flavours. Add the ice cubes, followed by the gin, cordial and sparkling water and stir. Line the glass with the cucumber strip and fill with crushed ice. Pour the cocktail through a sieve or strainer over the ice, garnish with the sprig of rosemary and serve straight away. 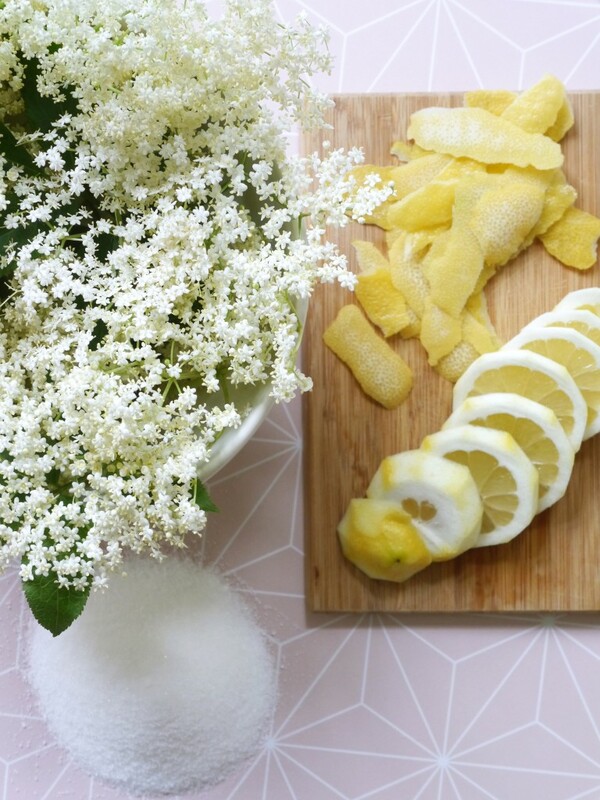 Place the elderflower heads in a large bowl of cold water. Allow to sit for 5-10 minutes, to get rid of any dirt or creepy crawlies – remove from the water and gently shake. Pour the sugar and water into a large saucepan and bring to the boil, stirring to dissolve the sugar. Whilst the syrup is boiling, pare the peel from the lemons and slice. Remove the pan from the heat and add the citric acid, lemon slices and peel and elderflower heads to the syrup. Stir to incorporate. Place a lid on the pan and leave to steep for 24 hours. Strain the elderflower cordial through a sieve and muslin cloth. Pour into the sterilized bottle (ideally through a funnel) and secure the lid. The cordial will keep for up to 6 weeks.